First, I’d like to say a big ‘thank you’ to Debra for allowing me to peddle my wares on her blog. We snake oil salesmen – sorry, I mean ‘Indie writers’ – need all the help we can get to push our scribblings out in front of the Great World Public. I suppose I should tell you a little about myself, but let’s keep this between ourselves, OK? There are things here that I don’t want my wife to know about and divorces are damned expensive. I’m originally from the Frozen North East of England (think the Ice Wall in ‘Game of Thrones’), but I eventually made my way to London in search of cheap women and indoor toilets. Well, I found the indoor toilets. I’ve spent most of my working life in the power industry, and have lived in a number of countries including South Africa, Malaysia, the United Arab Emirates, and am currently based on the island of Koh Samui in Thailand. I’ve done business on every continent except Antarctica. I assure you, this is much less glamorous than it sounds. My first novel, ‘Everyone Burns’, was published in 2012. 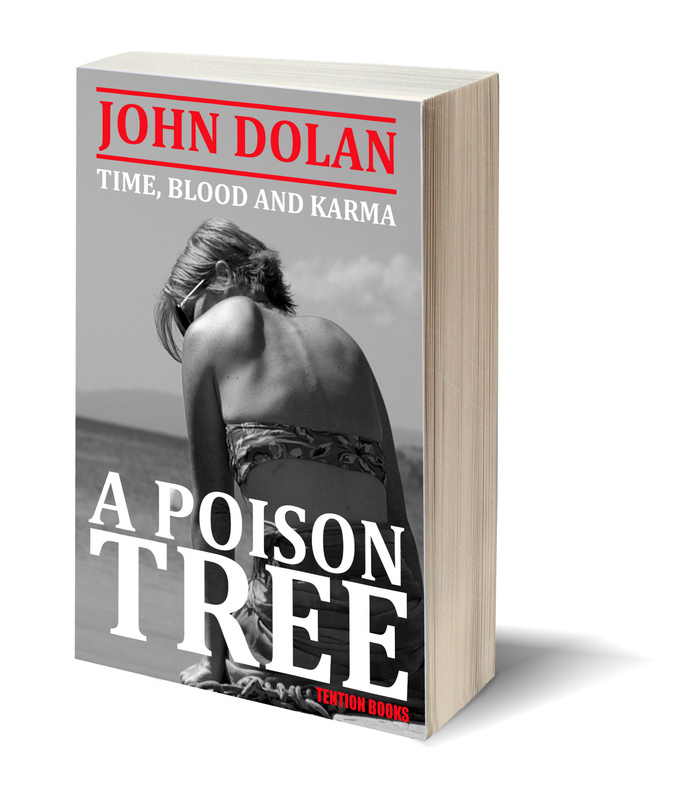 It is a mystery tale set in Thailand, and is the first book in the ‘Time, Blood and Karma’ series. ‘Hungry Ghosts’ followed in 2013, and the most recent book in the series – ‘A Poison Tree’ – hit the bookshelves recently. Blurb and contact links are set out below for those of you who have nothing better to do with your time. As for me, it’s time for a cold Chang beer. Being a writer is such a hard life. No it isn’t. Don’t believe a word those whining keyboard monkeys tell you. By the way, in case you were wondering (which you probably weren’t), ‘galericulate’ means ‘hidden under a hat’. “You kill my wife and I’ll kill yours.” You must admit, as a proposition, it has an alluring symmetry to it. It is 1999, and as the Millennium approaches, old certainties wither. For family man, David Braddock, his hitherto predictable world is undergoing a slow collapse. The people closest to him seem suddenly different. As desires and aspirations tangle around each other like parasite stems, betrayal is in the air. And so is murder. Fans of Braddock will finally learn the sequence of events that drove him into exile in Asia, while for new readers, ‘A Poison Tree’ is the perfect introduction to the ‘Time, Blood and Karma’ series.